Collins Booksellers - Bioremediation of Aquatic and Terrestrial Ecosystems by Fingerman, Milton, 9781439842607. Buy this book online. Bioremediation, the use of microorganisms to degrade, sequester, or remove environmental contaminants, is an urgent need of our planet for protection and restoration from toxic contaminants. 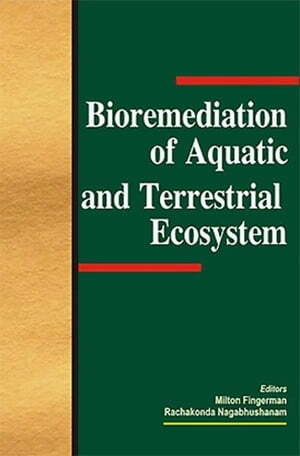 This book not only provides cutting edge information about bioremediation of aquatic and terrestrial habitats, but also highlights the gaps in our knowledge of the subject. Among the topics covered in this volume are those that deal with petroleum spill bioremediation, bioremediation of heavy metals, and the use of genetically engineered microorganisms in bioremediation.